A sense of vibrancy and optimism is permeating the world’s youngest continent. You can see it in Addis Ababa, where the first metro system in Sub-Saharan Africa just opened its doors. You can feel it in Côte d’Ivoire, where young Ivoirians eagerly gear up for their first paid internship in the country’s power utility company. You can hear it on Nigeria’s airwaves as farmers share tips on agriculture on their first community radio station. In spite of these promising signs, difficult global conditions and domestic challenges mean economic growth in Sub-Saharan Africa will slow in 2015 to 3.7% from 4.6% in 2014, according to new World Bank projections . The region faces the economic impact of the end of the commodity price super cycle with the substantial drop in the prices of oil, copper, and iron ore . Some 89 million African  youth are still out of school. More Africans are poor today than in 1990 . Weak health systems, the looming effects from climate change, food insecurity, and conflict and violence also challenge the progress Africa has made over the past two decades. Like the region itself, development solutions for Sub-Saharan Africa must be diverse and multidimensional. This approach is behind the new Sustainable Development Goals (SDGs) recently launched by the United Nations. The SDGs will build on the Millennium Development Goals and better address the growing number of intertwined economic, social, and environmental challenges of sustainable development. It was in this spirit that in 2009, the World Bank Group  and Agence Française de Développement  created the Africa Development Forum with the goal of producing high-quality research to chronicle Africa’s ascent. Five years and 20 publications later, the knowledge produced by this partnership is vast and rich. The Africa Development Forum examines issues such as infrastructure  and agriculture , gender equality , conflict , migration , youth employment , demography , safety nets , urbanization , the private sector , and tourism . It uses reliable knowledge to reinvigorate and promote dialogue on Africa’s future, which continues to remain vulnerable. Over the course of 20 books during these past five years, readers have learned about the trillion dollar potential  of African agriculture, discovered how the continent’s booming population can be harnessed for economic growth , and gained a deeper understanding of the effects of a changing climate  on the livelihoods of millions of Africans. 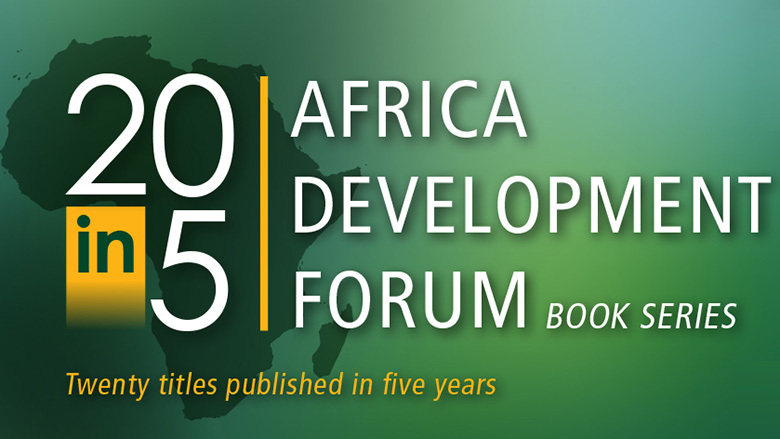 As the Africa Development Forum continues to deliver advanced research, we hope to continue contributing to ongoing local, regional, and global policy debates on the continent’s most pressing challenges. Agence Française de Développement and the World Bank are committed to working with our African partners to end extreme poverty in a generation and to boost shared prosperity. The potential for Africa is unprecedented; setbacks aside, the forecast for the continent is bright.